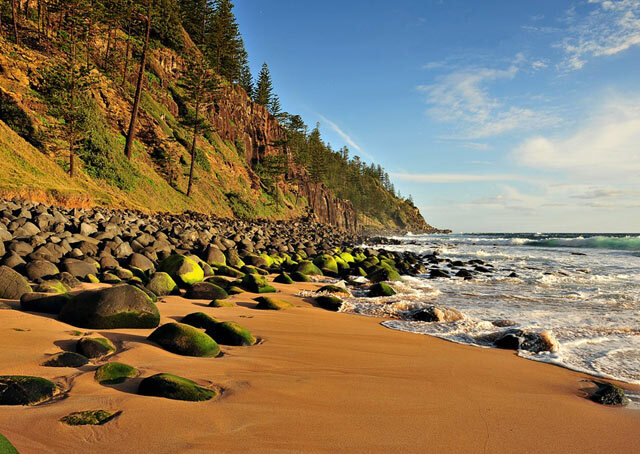 One of Australia’s best hidden treasures, due to its relatively remote location (to most visitors everything in the land of Oz appears incredibly remote) on the Pacific Ocean, Norfolk Island cherishes its independence and, perhaps because of it, has managed to preserve a good deal of its cultural heritage and plenty of its undisturbed and spectacular natural landscape. Here is a list of some of its most famous photo-op spots. 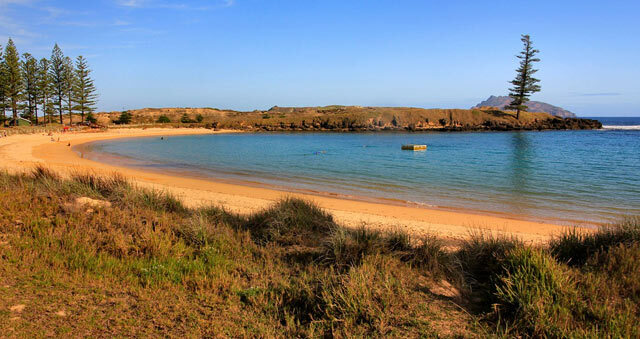 Surrounded by the sheltering branches of the island’s signature giant pines, this crescent-shaped beach is a little haven of picturesque serenity, with its intense blue waters and beautiful coral reefs, easy to explore straight from the sandy banks. 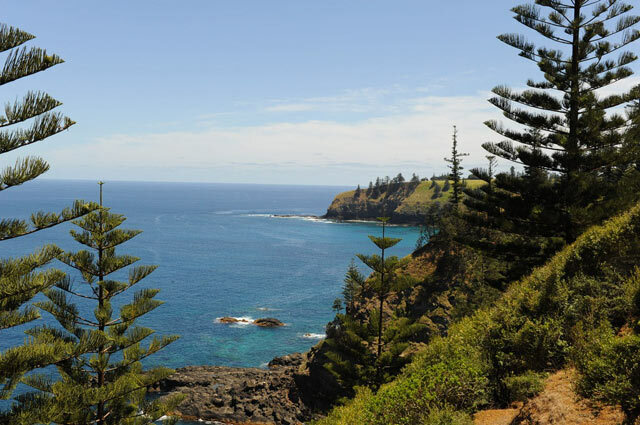 The perfect swimming and picnic spot on Norfolk Island. 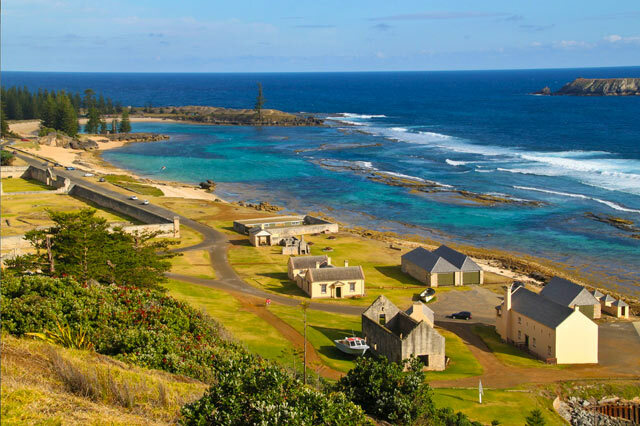 If atmospheric ruins are more your thing, you’ll enjoy exploring the historic treasures of Kingston, the earliest convict settlement on Norfolk Island, with its well documented colonial history. The often blood-curdling, if fascinating, stories and the eerily photogenic nature of the various buildings is enhanced by fantastic views all around. Unmissable. 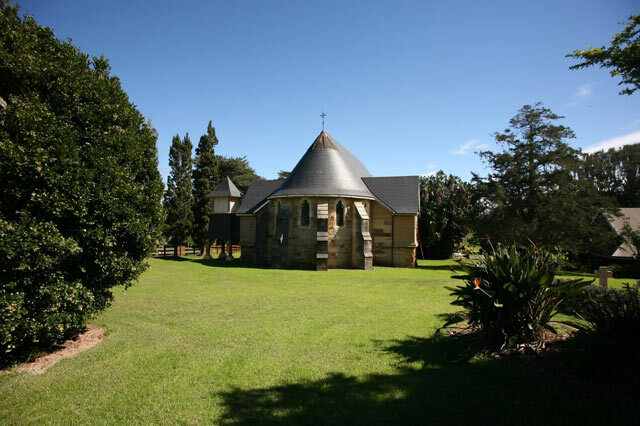 A little architectural gem, St Barnabas Chapel is strangely reminiscent of a, well, boat. This is quite on purpose, of course. 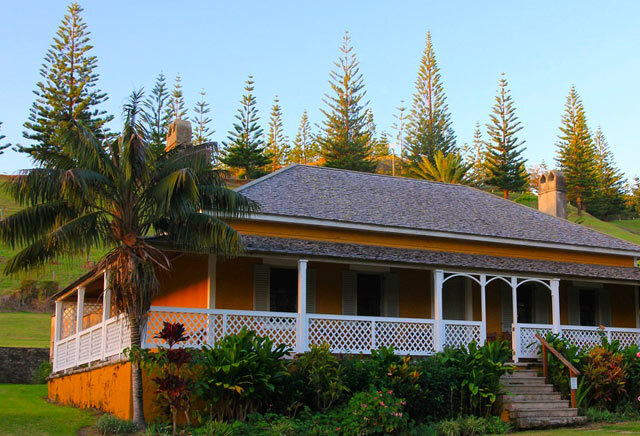 Nestled in a lovely, peaceful landscape, this building is truly unique and offers insight into the island’s Melanesian missionary history. And there are stunning Preraphaelite stained-glass windows (designed by Edward Burne-Jones and executed by William Morris), hand carved pews with mother of pearl inlays and interesting sculptures to admire. 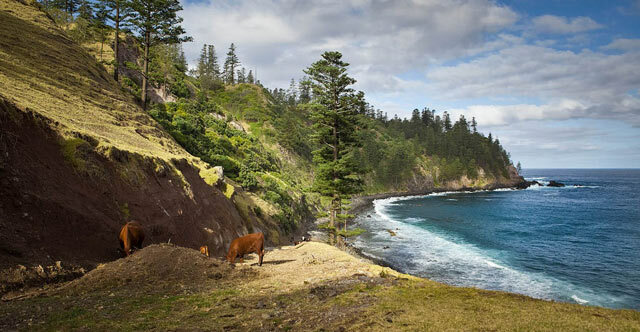 Yet another Norfolk photographer’s dream: the views of the small beach that allegedly was captain Cook’s landing site on offer after reaching this northern part of Norfolk Island, in the island’s National Park, are expansive and spectacular. Bird watchers should enjoy themselves on the lovely boardwalk, with Noddies, Grey and White Terns, Frigatebirds and Boobies, plus the occasional Petrel and Shearwater, all frequent visitors to the dramatic seaside cliff shoreline. The perfect spot to watch one of the island’s impressive sunsets over the water, accompanied by a local ‘fish fry’ meal and a drink. Don’t be surprised if the local artists show up to entertain you as well – this is one of those magical spots that has it all and will help the weary traveller unwind in a stunningly scenic spot. 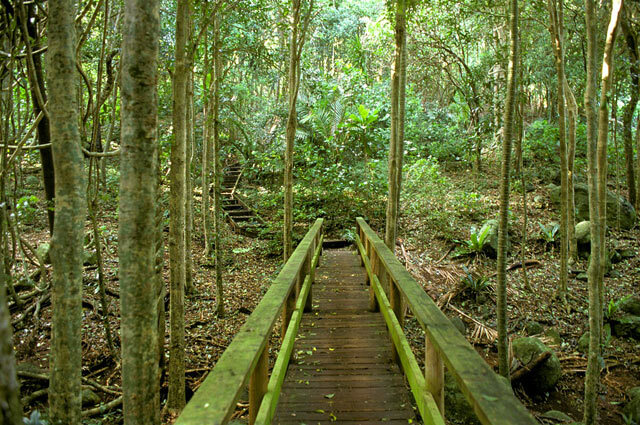 Tree lovers might want to take a stroll amongst the sounds of seabirds through the Moreton Bay fig trees, planted in 1860, in this hidden gem of a spot (to be found on New Farm Road), which, like everything else on the island, will take you to the beach shore soon enough, around Rocky Point. Watch out for mutton bird holes! The locals might just tell you where the mandarin tree is, so you can have a fresh bite on your walk, too. As it is hopefully becoming clear by now, size is not a reflection on attractiveness, as Norfolk Island is clearly not suffering from a shortage of them. A spot to get a cuppa is never far away, either. The picturesque Anson Bay puts one in a ‘Pirates of the Caribbean’ mood, with its ruggedly wild vistas: impressive cliff tops and beach rock pools are both on offer for avid hikers. Otherwise, bring a picnic and just take in the panorama. This 19th century home offers the visitor an entirely different type of scenery: that of a beautifully preserved 19th century Georgian time capsule. Take in the blue china, the lovely gardens and your cup of tea at the pleasant café next door as a break from the amazing natural scenery of the island. This beautiful and almost fully round bay has actually been formed in a caldera of an ancient volcano. A surfing (and fishing) destination along with Anson Bay, full of those big waves and home to turtles and land crabs. 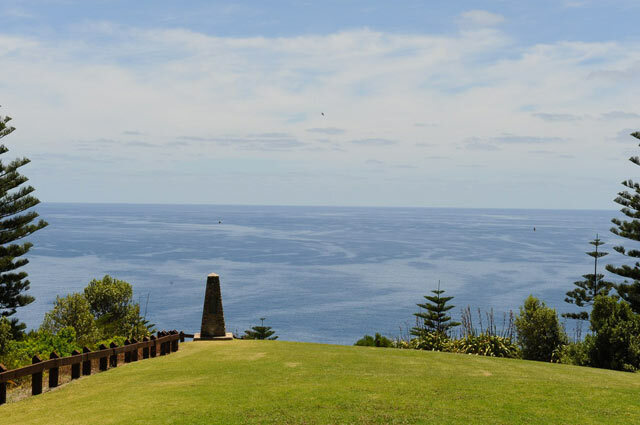 Norfolk Island is home to many unique plant species and the local botanical gardens offer plenty of informative walks to explore them, while taking a break from more adventurous tracks of the nearby National Park. 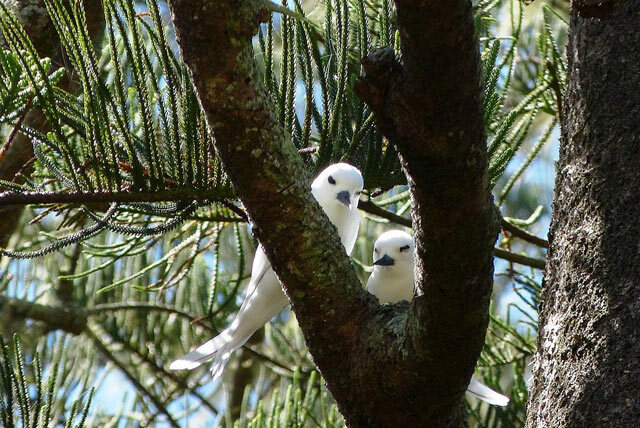 Look out for the tallest tree ferns in the world, and colourful birdlife, including green parrots. Arachnophobes beware, as spider webs are also spectacular in places, although usually located high up!